Sharyn Kervyn is passionate about wine. Her entire professional career has been devoted to this Industry; learning and sharing that knowledge with the staff she trains, at lectures and seminars and with fellow enthusiasts in the wine organizations to which she belongs. Finding the humor and enjoyment in the process of learning is paramount for Sharyn. She was so excited to saber champagne perfectly (in practice), only to shatter the bottle in front of a few hundred people during a Dionysian Society gathering (lesson learned: chill the bottle well). 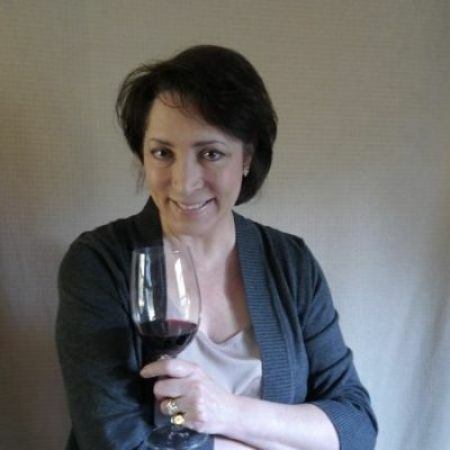 In addition to membership in the Dionysian Wine Society, she is a Regional Vice President and National Tasting Project Chair for the American Wine Society, and a Certified Specialist of Wine (CSW) through the Society of Wine Educators. She is a wine judge for Amateur and Professional Competitions and has judged wines across the country since 2010. Sharyn was in the Guild of Sommeliers training and is currently in the WSET Diploma program. Having grown up in her family’s restaurant, specializing in wine was a natural progression for Sharyn. Throughout her career she expanded operations for several multi-unit chains, increasing profits and creating popular neighborhood venues through special events and promotions. She opened the Getty Center in Los Angeles in 1997 as their Catering Director, developing their standards of service. In Beverly Hills, she restructured a dining venue for Barneys New York and created elaborate on and off premise events for Hollywood Elite. At every location, Sharyn was also the wine director, training the staff and overseeing the Wine Lists. She has consistently earned “Best Of” Wine Spectator Awards for her lists at The Capital Grille locations where she currently works.